Note: I'll be in an MEI staff retreat all day today. This will be my only post unless I have something this evening. Yesterday's shocking videos of ISIS destroying antiquities in the Mosul Museum again underscored the threat war and instability pose to irreplaceable historical and archaeological heritage. Not since the Nazis looted Europe of art treasures during World War II (many of which have never been seen again, despite the efforts of Allied forces as depicted in the film The Monuments Men), have so many historical and archaeological treasures been threatened. 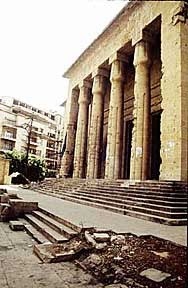 The civil wars in Iraq, Syria, and Libya, and the 2011 Revolution in Egypt, all saw cases of looting of museums and archaeological sites, as well as collateral damage from artillery of ancient and medieval monuments. But ISIS is embarked on a campaign to destroy antiquities not as a casualty of war but as a matter of direct policy. Shi‘ite, Christian, and Yazidi religious sites and libraries were first, but now the ancient heritage of ancient Mesopotamia is being targeted: the walls and gate of Nineveh and the Mosul Museum. It's a good time to remember the work of the late Maurice Chehab, Director of the Lebanese Antiquities Department and Curator of the Museum during the Lebanese Civil War, and a man who saved much of the collections even though the Muesum was quite literally on the front lines: the division between Christian East Beirut and Muslim West Beirut (the Green Line) was the street in front of the museum, and a key but dangerous checkpoint between the two sides was called the Museum Crossing. Lebanese know this story and have honored him; I suspect it's less well known outside. Emir (Prince) Maurice Chehab was a scion of the Chehab or Shihab dynasty which once ruled Mount Lebanon; originally Druze, the family today has both Maronite and Sunni branches; the former produced Maurice, as well as former Lebanese President Fouad Chehab. Born in 1904, Chehab attended the Jesuit St. Joseph University in Beirut and then did graduate work in France at the Louvre. 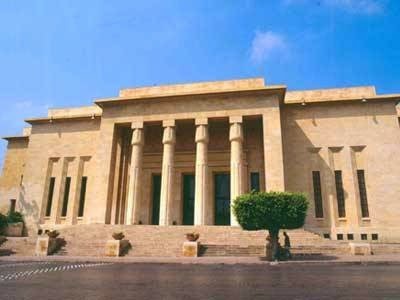 He became an accomplished archaeologist and specialist on Ancient Phoenicia, and dug at Tyre most famously but also elsewhere; from 1928 onward he held various official posts under the French Mandate and after independence, heading what evolved into the Directorate-General of Antiquities.He taught at the Lebanese University and was designated as the first Curator when Lebanon's National Museum was being organized in the years after 1928; it opened in 1942. 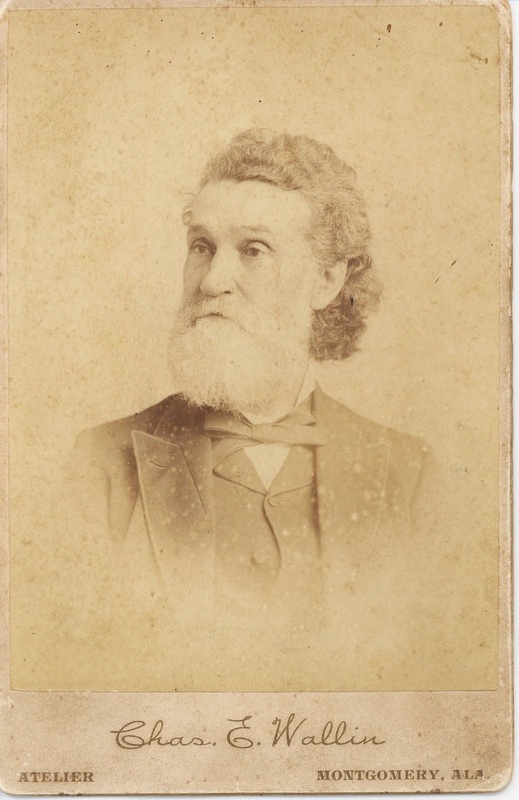 He was a distinguished scholar and already past 70 when the Civil War broke out in 1975, when the grim twist of fate brought the war quite literally to the Museum's doorstep. Eventually, the Museum would not only be the target of artillery but would become a frontline bunker for militiamen and a death trap for anyone else. The card catalog, photographic archive and much else were lost. But not the prize collections. Early in the war, using a rear entrance as the story goes, Chehab and his wife Olga (with a few other senior people) gathered the smaller objects on display and moved them to basement storage to avoid looting. The area was sealed off with steel-reinforced concrete. The larger objects, including the best-known objects, the stone sarcophagus of Ahiram and the other Phoenician sarcophagi, were also encased in wooden or concrete coverings. Maurice Chehab retired in 1982 and died in 1994. In 2013 the Museum rededicated one of the key galleries as the Maurice Chehab Hall. You can find other retellings of this story here, and at the museum's Wikipedia page, and even fuller accounts at several tribute pages: here and here and here..
Mosul could have used a Maurice Chehab. Following up on those videos of ISIS smashing Assyrian antiquities in the Mosul Museum, here's a roundup of commentary and detail from several websites around the preservationist community. And let me emphasize that I am not giving more weight to the destruction of antiquities than to the slaughter of human beings, but that barbarity is already well known. There is no doubt that the Islamic State is profiting from the illicit trade in antiquities. Although the criminals have destroyed some ancient artefacts, the have also destroyed a lot of modern reproductions – as is visible, for example, around 00h03m58s. All this video really shows is that they are willing to destroy things that they can’t ship out and sell off. A post by Lynda Albertson for the Association for Research into Crimes against Art has some "before" photos from a UNESCO report, identifying the gallery shown in the photo. An AP story by Sinan Salaheddin quotes a professor from the Archaeological College of Mosul as saying that most of the artifacts are genuine and not replica; the story also confirms that the sites shown are the Mosul Museum and the Nergal Gate in the ruins of Nineveh. Another heritage preservation website, Gates of Nineveh, has not yet posted on the video, but you can find a summary of earlier destruction here. While some of the statues are said to be plaster casts, they have destroyed the famed winged bull of Nineveh. I hope to have more detail in a later post. Adventures in Bad Viral Journalism: Did it Really Rain Money in the Gulf, and if so, Where? Dubai? Asir in Saudi Arabia? Kuwait? Fact checking: yes the statement that It is estimated that notes valued between two and three million Dirham were loose - meaning up to £500,000": As of yesterday, three million dirhams would have been about £527,000. or US$817,000. Even if the total number of notes is misstated, each 500 dirham note is just under the £88 pounds cited (£87.95 yesterday) Not a bad "windfall," so to speak. The Emirati press says it didn't happen in the UAE. No doubt Dubai's reputation for extravagant expenditures and outrageous building projects fueled the idea that this happened in Dubai. A wave of sand and thunderstorms in Saudi Arabia brought dust, rain and snow across the desert Gulf Kingdom except one place, where it rained money. Residents of a neighbourhood in the Southern Asir province could hardly believe their eyes when they were flooded with hundreds of Saudi riyal notes. Unlike in rainfall, instead of seeking shelter they welcomed the money storm with open hands, open hearts and a big smile on their faces. They apparently were very curious as to where the money came from but not to the extent they would return it to the source. They simply picked the notes and vanished happily inside their homes. The story says these were Saudi Riyal SR100 notes, each worth a bit over US $26 or £17.20 Sterling, so SR10000 would be $2600 dollars or £1720, an amount that may be credible for loading an ATM machine, but hardly The Daily Mail's half a million Sterling. The quoted Saudi newspaper Sabq is an electronic one, and i haven't yet found the alleged story, but let me also note that the Emirati report cited above is illustrated with a man holding up a Saudi 50 Riyal banknote as if it were one of those that fell from the sky, but the story says they were 100 Riyal notes. Also, Asir is the Saudi Province just north of Yemen. I've never been there, but both the tall buildings and the spoken Arabic in the video make me think this is somewhere in the Gulf. Skeptical yet, Watson? It gets better. Multiple reports noting background buildings say it's filmed in Kuwait. Abu Dhabi's The National: "'Raining money’ video was filmed in Kuwait - not Dubai"
A building, Burj Jasim, can be seen near the car park, where a Fatburger restaurant is also located. Both indicate that the incident happened in Al Murqab area’s Al Soor Street, in Kuwait City. A video of the incident has gone viral on Youtube and social media websites. While some reports have claimed the incident took place in Dubai or Saudi Arabia, verification of the buildings where the video was filmed, it appears that the incident happened in Kuwait. Midway through the video, the name Burj Jassim (Jassim Tower) appears on a building outside where people are gathering the money. The presence of a FatBurger outlet, also located at Burj Jassim (pictured below) would support the belief that the video was shot in Kuwait. Perhaps this is real, but misattributed. The Gulf has been windy and unseasonably cold and maybe a crew reloading an ATM did lose some currency but not some huge mount. Perhaps the video was done for some sort of commercial promotion, or as a commercial for television. It could also be a hoax. You May Know of the Great Lisbon Earthquake of 1755. But Do You Know About the Quake and Tsunami That Day in Morocco? The Great Lisbon Earthquake and fire of 1755 remains one of the iconic disasters of modern Europe; it devastated the Portuguese capital and sparked debates between religious folk who saw it as the judgment of an angry God (it occurred on All Saints Day, November 1), and Enlightenment philosophes who saw it as a sign of the arbitrariness of fate, most famously Voltaire, who subjects the eponymous hero of Candide to it and makes him wonder if Pangloss is right about this being the best of all possible worlds. (Voltaire also wrote a separate essay on the earthquake.) 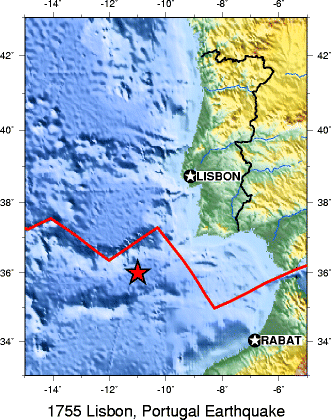 Since I assume my readers are well-read, you probably know about the Great Lisbon Earthquake of November 1, 1755, but let me ask if you've heard of the destructive Tsunami that hit Morocco less than an hour later, and may have been as deadly there as in Portugal? Though far from the deadliest earthquake by world standards, the 1755 shock, fire and Tsunami in Lisbon (the largest Tsunami on record for the North Atlantic) had a major impact in Europe, but many overlook the impact on Morocco. The epicenter, as shown in the map at right from Wikipedia, was west of the Strait of Gibraltar; this is at a point where he Eurasian tectonic plate meets the African plate, though of course plate tectonics were unknown at the time. Although Lisbon's destruction is famous, the Algarve in southwestern Spain and Portugal and the coastal cities of Morocco may have suffered even worse from the quake itself and the resulting Tsunami, though Lisbon was in part destroyed by an accompanying fire. We know they were devastated, though casualty counts are slippery, in Morocco as in Portugal. Totals in the tens of thousands dead, however, are often cited for both sides of the Strait, with some going to six figures. But Voltaire didn't put Candide in Tangier or Rabat. Most estimates put the total dead in Morocco at at least 10,000, perhaps higher. The quake was also felt in Algiers. Of course, the highly useful Japanese word tsunami was unknown in Europe in 1755; in Portuguese it was known as a maremoto, a movement of the sea. While the earthquake is historically known as the Great Lisbon Earthquake, its effect, and that of the following tsunami, also took a toll on Spain and Morocco, particularly but not exclusively the coastal areas. The sources for the Moroccan damage are scattered, including native Moroccan writers, Spanish and Portuguese priests living in those country's enclaves in Morocco, and European consuls. Because Morocco also suffered another earthquake wave the same month, November 18-19 centered in the Rif Mountains, some have argued (for example P.L.Blanc, cited below) that the reports of intense damage to the interior cities of Meknes (badly hit), Marrakech, and Fes may have conflated the November 1 earthquske with the later ones, but this is still debatable. Discussion and citation of these source can be found in online studies such as Evaluation du risque tsunamique sur la littoral Atlantique, a doctoral thesis by Samira Mellas in French; and P.L. Blanc, "Earthquakes and tsunami in November 1755 in Morocco: a different reading of contemporaneous documentary sources." Without studying each of the sources more carefully, I can't judge whether the damage from two separate quakes has been conflated, but in any event, both coastal and interior cities in Morocco suffered severe damage in November, 1755. Along the coast, the Tsunami was devastating, though a reported height of 75 feet for the waves at El Jadida (then known by its Amazigh namd Mazagan or in Portuguese as Mazagão) is debated as being a likely exaggeration. Some reports claim that at Tangier the waves submerged the city walls. In Assila, the water entered the streets of the city, and along with the force of the earthquake, many houses were destroyed. At the twin cities of Rabat and Salè, which face each other across the Bou Regreg River ships were sunk in he river and many drowned. Farther south at Safi there was also extensive damage. Agadir was also affected. In the interior, there was certainly earthquake damage in Meknès, Marrakesh, and Fes; columns at the ancient Roman ruins of Volubilis also fell. Blanc argues that the damage in the interior was from the later November 18-19 quakes (the dates given by European reports; Mor0ccan reports date hem November 27-28). This is not established and reports written before those dates do refer to damage and deaths in the interior cities. Casualty figures may be exaggerated (and the European ones distinguish between casualties among Christians, Jews, and "Moors," but certainly most accounts place the dead in multiple thousands. Though what made Lisbon so destructive was the combination of earthquake, Tsunami, and fire, the Moroccan accounts do not appear to speak of fire as a destructive force. Still, it seems clear that the Great Lisbon Earthquake was also the Great Moroccan earthquake. Twice on this blog, in 2012 and again last year, I've noted the fact that the tomb of Suleyman Shah, grandfather of Osman from whom the Ottoman Empire takes its name, is an enclave considered sovereign Turkish territory deep inside Syria, and guarded by Turkish troops. No longer. Over the past weekend Turkey sent a substantial armored military force through Syrian territory to the site, rescuing 38 Turkish soldiers threatened by ISIS. They also destroyed the site and retrieved the remains of Suleyman Shah. A new site is planned just 200 meters inside Syria, retaining its claim to territory inside Syria but moving it closer to Turkey. (In fact, the tomb had been relocated before, when Lake Asad was built. The Asad government has denounced the operation, and some Turkish opposition parties have denounced it as surrendering national territory. 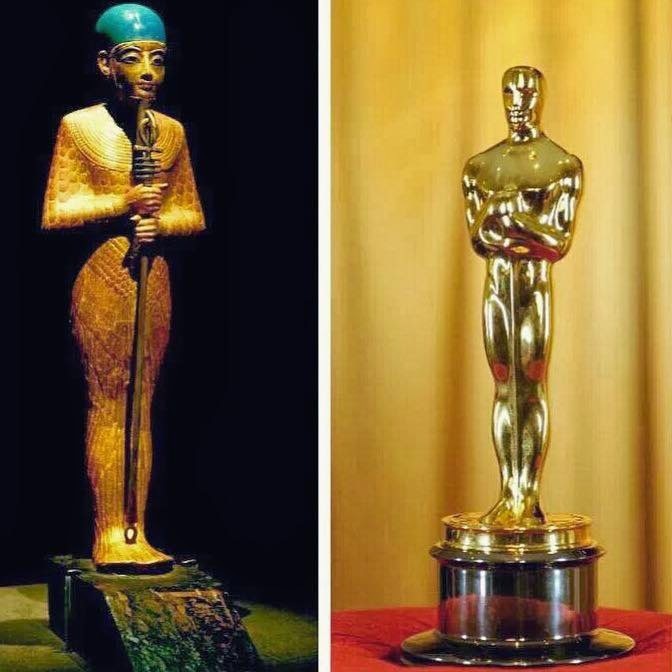 #Egyptian #inspiration They say that the Oscar statuette represents a knight standing on a reel of film gripping a crusader’s sword but it is just looks so similar to the representation of Ptah (Ancient Egypt God) holding the scepters...!! It's time for another post on "Vanished States" in the Middle East in the 20th century. Previous posts dealt with the Republic of Hatay (1938-39), the Syrian Arab Kingdom under Faisal (four months in 1920), the Hashemite Kingdom of the Hejaz (1916-1925), and the Rifian Republic (1921-1926). Today let's deal with two Soviet satellite states declared on Iranian territory in 1945, at the end of World War II and in the midst of the opening moves of the Cold War: the Republic of Kurdistan in Mahabad (usually referred to as the Mahabad Republic) and the Autonomous Republic of Azerbaijan (or Azerbaijan People's Government). By late 1946, both were gone after the withdrawal of Soviet troops. The two emerged from the occupation of Iran by Britain and the Soviet Union in 1941, when Reza Shah was forced to abdicate in favor of his son Muhammad Reza, in order to facilitate Allied supplies to the USSR. The Allies pledged to evacuate their forces from Iran within six months after the end of the war. These assurances were repeated when Roosevelt, Churchill, and Stalin met at the Tehran Conference in 1943. But as World War II ended and the Cold War began, the Soviets encouraged these two states to declare independence, and Soviet forces remained in northwestern Iran. 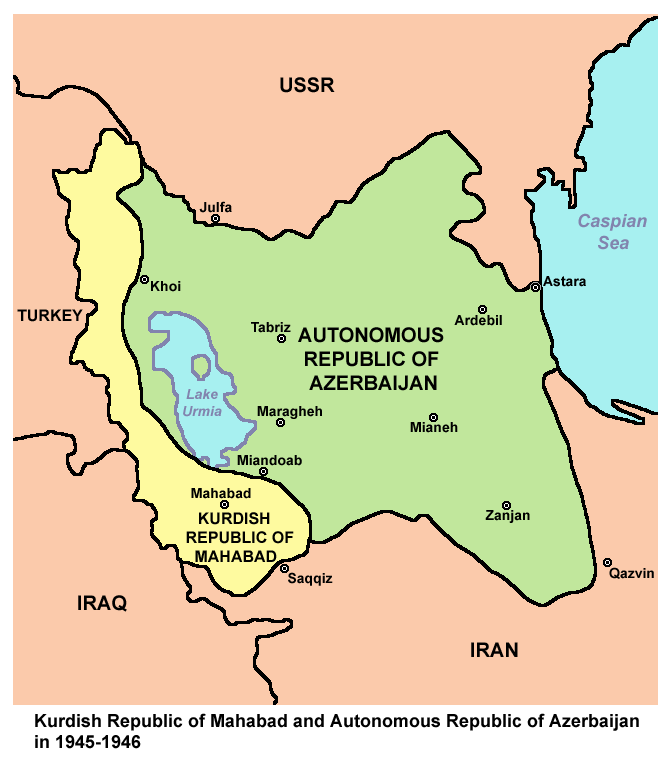 The Azerbaijani state, which had its capital at Tabriz, was rather different from the Kurdish one: it was run by veteran Communists and closely tied to the Soviet Republic of Azerbaijan, while the Mahabad Republic, with its capital at Mahabad, as led by Iranian Kurdish nationalists of the Kurdish Democratic Party of Iran (KDPI), in alliance with a military force led by the Iraqi Kurdish leader Mustafa Barzani, founder of the Iraqi KDP and father of the Kurdish Regional Government's President Mas‘oud Barzani. The Azerbaijanis declared their state first. 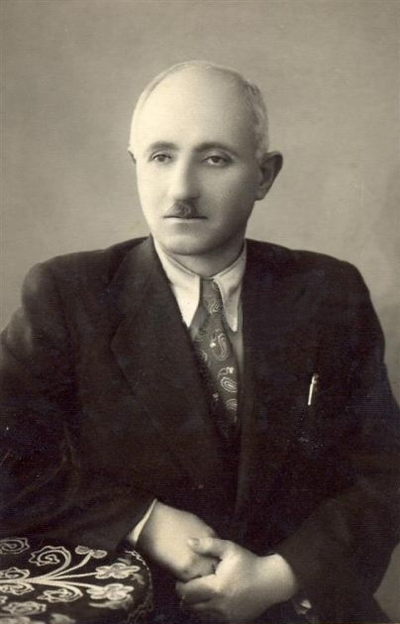 A group of longtime Communists led by Ja‘far Pishevari declared the formation of the Azerbaijan Democratic Party on September 3, 1945, the day after the surrender of Japan. The Tudeh Party, the official Communist Party of Iran, ordered its Azerbaijani branch to join the new movement. The group formed a "peasant's militia" and on November 18, 1945, staged an de facto coup, declaring an "autonomous republic." (Since Iran was a monarchy, how could a republic be autonomous within it?") Pishevari served as President and Ahmad Kordari as Prime Minister. During the approximately one year before its dissolution, there were clearly close links between the Soviet Republic and the "Autonomous Republic" in Iran and Azeri Turkish was made official and Persian banned. A Soviet-style judicial code was enforced. To the West, the Kurdish region of Iran also sought to declare itself a Kurdish Republic. The USSR does not seem to have been as enthusiastic there since the Kurdish leadership were more traditional Kurdish nationalists rather than veteran Communists. The Soviets sought to encourage the Kurdish leadership in Mahabad, which during the period of Soviet occupation had been formed of traditional tribal and religious elements, to join the Azerbaijani Republic, but instead they declared thgeir own autonomous state on December 15, 1945 and on January 22, 1946, announced the formation of the Kurdish Rrpublic in Mahabad. Its President was Qazi Muhammad, from a family of religious judges, and its Prime Minister Hajji Baba Sheikh, both members of the KDPI rather than traditional Communist Party (Komala) cadres. 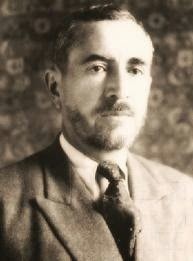 The Defense Minister was Mulla Mustafa Barzani, the Iraqi Kurdish leader. 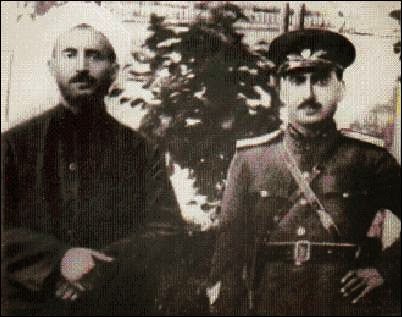 Historians claim that there was considerable resentment of the Barzani clan's presence in Iranian Kurdistan, where they had fled after fleeing Iraq. But Barzani's forces clearly were a mainstay of the Mahabad Republic's defense forces. Though the Kurdish Communist Party (Komala) supported the Mahabad Republic, the republic's leadership was officially KDPI. Mahabad's more traditional leadership, though it included elements from Komala, resisted merger with the Communist government in Tabriz, and while the Soviets supported it in their efforts to remain in Iran, they seem to have been less trustful of the independent-minded Kurdish state than of the more Moscow-lining regime in Tabriz.But Mahabad was small, since significant parts of Iranian Kurdistan were in the Anglo-American rather than the Soviet-occupied zone, and were thus easily held by the government in Tehran. The West saw the Soviet efforts to remain in northwestern Iran in terms of the Cold War and viewed both mini-states as Soviet satellites. The newly formed United Nations was soon wrestling with what came to be called the Iran Crisis, and in fact, three of the first five resolutions adopted by the UN Security Council (UNSC Resolutions 2, 3, and 5) dealt with Iran; the Soviets were absent for the later resolutions. The end of Mahabad was messier and bloodier. Even as the withdrawal of Soviet support undercut his government, and many traditional tribal shaykhs and aghas were deserting the republic, Qazi Muhammad and his war council pledged armed resistance on December 5, 1946. With the Soviets leaving and Azerbaijan falling back under Tehran's control, this was a futile and rather puzzling gesture, especially given the fact that Qazi Muhammad agreed to the occupation of Mahabad by Iranian troops. During this period, Qazi Muhammad's brother, Sadr Qazi, had been serving as a Deputy in the Iranian Majlis in Tehran and serving as a go-between in negotiations. Nonetheless, after the fall of Mahabad, the Iranian government hanged Qazi Muhammad, Sadr Qazi, and their cousin Seif Qazi. This seems particularly unjust in the case of Sadr Qazi, who had been the go-between negotiator. Mustafa Barzani and his Iraqi Kurdish forces tried but failed to cut a deal with Tehran and then conducted a fighting retreat toward the Iraqi and Soviet borders, bloodying the Iranian forces. To his credit, Stalin [as much as it pains me to write those four words about Stalin] allowed the Barzani forces into exile in Soviet Azerbaijan. In the 1950s, after the fall of the Iraqi monarchy, they would be allowed to re-enter Iraq. 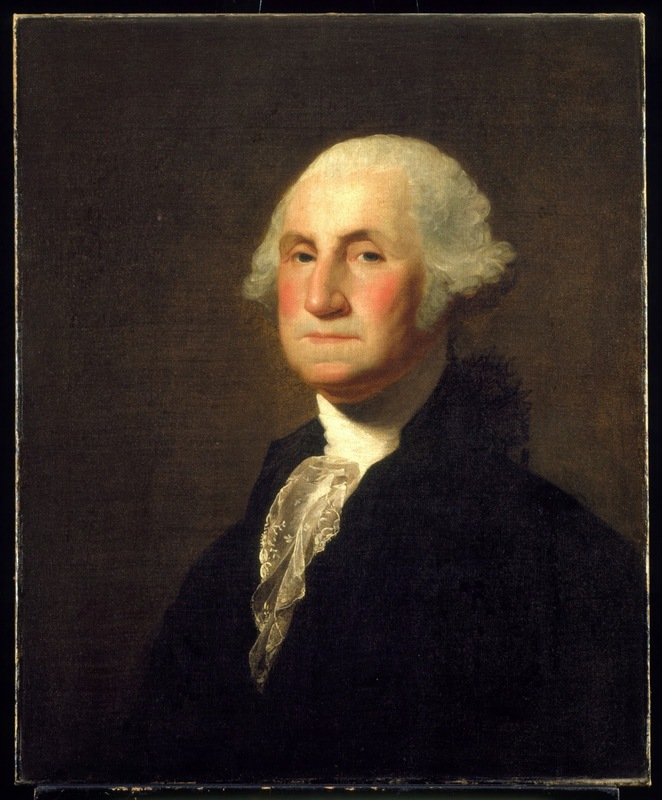 Sunday (February 22) will be George Washington's actual birthday (adjusted for the Gregorian calendar), though we celebrated last week on the President's Day holiday. 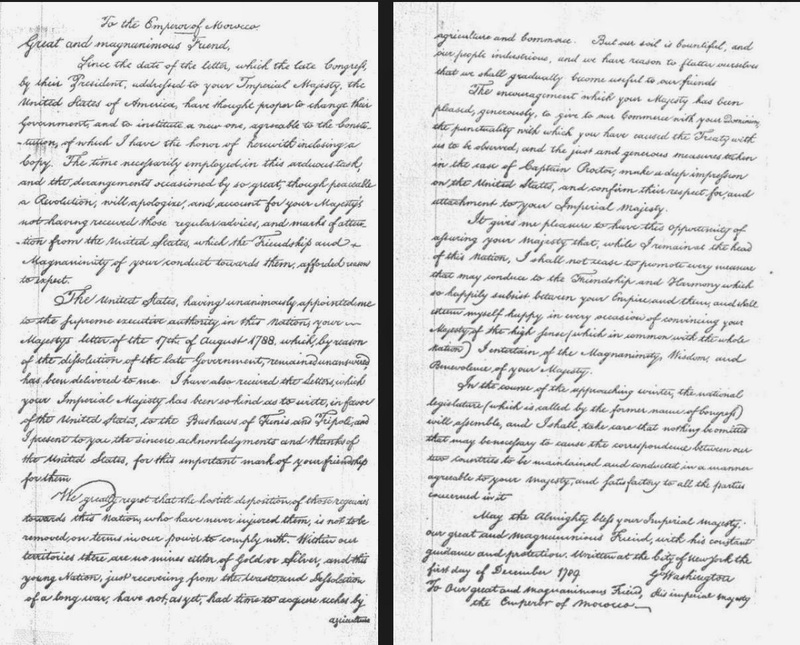 Back in 2013, I posted a 1789 letter Washington wrote to the Sultan of Morocco, but this is not a rerun of that post, but rather a fuller contextualization of the origins of US-Moroccan relations. Late in 1780, according to a history published by the US Embassy in Morocco, the Continental Congress approved the idea, telling Caille to move toward such a treaty. But only after the 1783 peace treaty with Great Britain did the project move forward. In May 1784 Congress authorized Franklin, John Adams (US envoy to London), and Thomas Jefferson (the new envoy to Paris) to negotiate the deal. 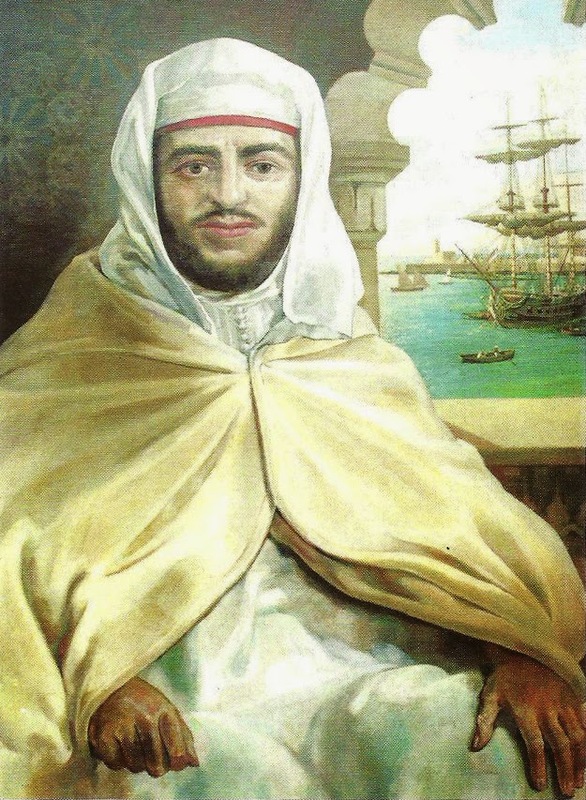 In October 1784, a Moroccan corsair seized an American merchantman in the Atlantic, and the Sultan pointedly noted that he had been asking for a treaty for several years. In 1785, Thomas Barclay, US Consul-General in Paris, was sent to Morocco to negotiate the terms. Adams in London wrote to Jefferson in Paris, "If Mr. Barclay will undertake the voyage, I am for looking no farther. We cannot find a steadier, or more prudent man." Barclay reached Marrakesh, then the Sultan's capital, on June 19, 1786. On June 28 the treaty was signed and sealed by the Sultan; you can read the English text here. Israeli elections, with their proliferation of parties and shifting alliances, further complicated by the fact that there are multiple polling agencies getting differing results, can be confounding. A hat tip to Avner Cohen for drawing attention to a rather useful Wikipedia entry: "Opinion Polling for the Israeli Legislative Election, 2015." It has useful comparative tables party by party, and appears to be updated almost daily. 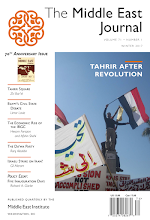 At Jadaliyya, "Quick Thoughts: Paul Sedra on the IS Massacre of Egyptian Copts in Libya" does a useful job of distinguishing the ISIS massacre in Libya from the context of Egyptian domestic politics and Christian-Muslim relations. It's short but important. 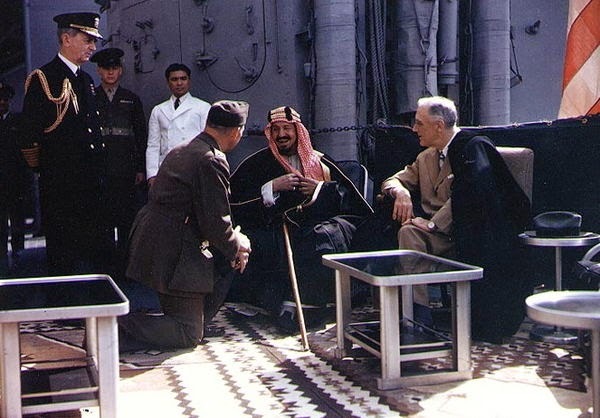 Yesterday I (belatedly) noted the 70th anniversary of Franklin D. Roosevelt's meeting with King ‘Abd al-‘Aziz Al Sa‘ud (usually referred to by Westerners at the time as "Ibn Saud") aboard the USS Quincy in February 1946. After meeting the King on February 14, FDR departed for Alexandria and there, on February 15, met Winston Churchill, who was also returning from Yalta. Then FDR departed for home. It was the last time Churchill and FDR met; Roosevelt died in April. 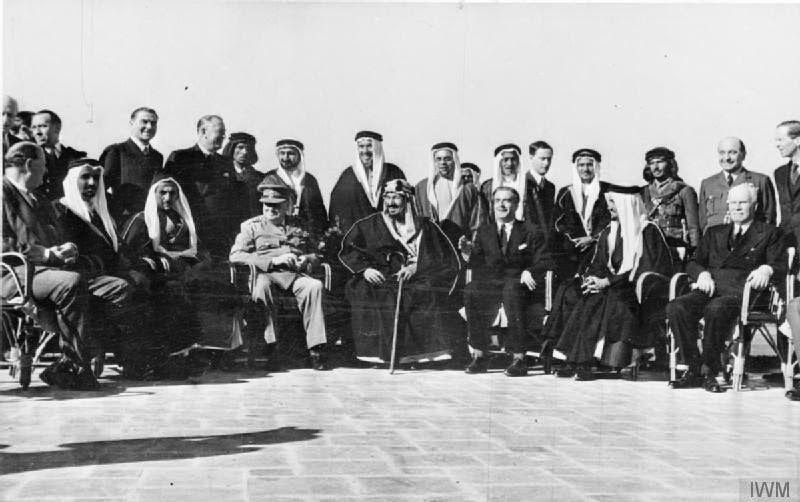 After the departure of our American friends I had arranged meeting with Ibn Saud. He had been transported to the conference with the President in he American destroyer Murphy, and travelled with all the splendour of an Eastern potentate, with an entourage of some fifty persons, including two sons, his Prime Minister, his Astrologer, and flocks of sheep to be killed according to Moslem rites. On February 17 his reception was organised at the Hôtel du Lac at Fayum oasis, from which we had temporarily removed all residents. A number of social problems arose. I had been told that neither smoking nor alcoholic beverages were allowed in the Royal Presence. As I was the host at luncheon I raised the matter at once, and said to the interpreter that if it was the religion of His Majesty to deprive himself of smoking and alcohol I must point out that my rule of life prescribed as an absolutely sacred rite smoking cigars and also the drinking of alcohol before, after, and if need be during all meals and in the intervals between them. The King graciously accepted the position. His own cup-bearer from Mecca offered me a glass of water from its sacred well, the most delicious I had ever tasted. It had been indicated to me beforehand that here would be an interchange of presents during the course of our meeting. I had therefore made what I thought were adequate arrangements. "Tommy" Thompson [Churchill's aide] had bought for me in Cairo for about a hundred pounds, at the Government's expense, a little case of very choice perfumes which I presented. We were all given jewelled swords, diamond-hilted, and other splendid gifts. Sarah [Churchill's daughter] had an enormous portmanteau which Ibn Saud had provided for "your womenfolk." I appeared that we were rather outclassed in gifts, so I told the King, "What we bring are but tokens. His Majesty's Government have decided to present you with the finest motor-car in the world, with every comfort for peace and every security against hostile action." This was later done. I assume it was a Rolls-Royce. King Ibn Saud made a striking impression. My admiration for him was deep, because of his unfailing loyalty to us. He was always at his best in the darkest hours. He was now over seventy, but had lost none of his warrior vigour. He still lived he existence of a patriarchal King of the Arabian desert, with his forty living sons and the seventy ladies of his harem, and three of the four legal wives, as prescribed by the Prophet, one vacancy being left. 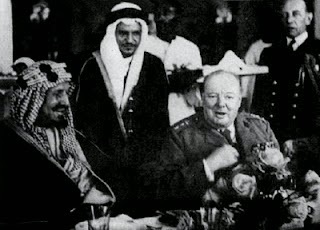 Churchill omits the awkward fact that one key topic of conversation was Palestine, where Churchill hoped to extricate Britain from its Palestine Mandate through peaceful partition and hoped for Saudi support. That was not forthcoming. February 1945: Roosevelt Meets "Ibn Saud"
I've been so preoccupied with the 100th anniversary of World War I that I let slip a critical 70th anniversary: the meetings between Franklin D. Roosevelt and King Farouq, Haile Selassie, and King ‘Abd al-‘Aziz Al Sa‘ud ("Ibn Saud") in the Suez Canal in February 1945. FDR was returning from the Yalta Conference on the the cruiser USS Quincy. The conference took place February 12-14, 1945, so I'm a couple of days late in noting its anniversary. Roosevelt arrived by air from Yalta and then traveled to join the Quincy in the Great Bitter Lake of the Suez Canal. The next day he met with King Farouq and Haile Selassie. The first film clip is partially in color; though the two clips show the same events there are some differences in detail. The US Marine Corps colonel appearing in the meetings with Roosevelt and Ibn Saud is Colonel Bill Eddy, the US Minister to Saudi Arabia. You can find an account of the meeting written by Eddy here. For more about Eddy, see Tom Lippman's 2008 book, Arabian Knight: Colonel Bill Eddy USMC and the Rise of American Power in the Middle East. You can find Eddy's own account of the meeting here. I note that both newsreels say that this is the first time Ibn Saud had left his Kingdom. I guess they mean since he became King; he spent his youth in exile in Kuwait until he led the raid on Riyadh that expelled the Rashid family and restored the Sauds, beginning the formation of the Kingdom. The Islamic State or ISIS, is a serious challenge deserving serous attention, and I don't mean scare headlines like this one in The Daily Mail. Graeme Wood in The Atlantic: "What ISIS Really Wants." A response to Wood by J.M. Berger: "Enough about Islam: Why religion is not the most useful way to undertand ISIS." Emile Nakhleh at Lobelog: "America and the Middle East after The Islamic State"
Juan Cole, "Today's Top 7 Myths about Daesh/ISIL"
In addition to its on Monday airstrike against Islamic State elements in Libya in retaliation for the murder of 21 Egyptian Christians, Egypt appears to be urging wider international intervention in Libya, possibly including Italy, the former colonial power, This is the latest instance, among many, of the emerging alliance of Gulf States and Egypt in taking proactive military measures against radical jihadist movements. It is probably no coincidence that Egypt also just ordered Rafale multirole fighters from France, a deal which may be underwritten by Gulf funds. Today is the Presidents' Day holiday in the US. Normal blogging resumes tomorrow. 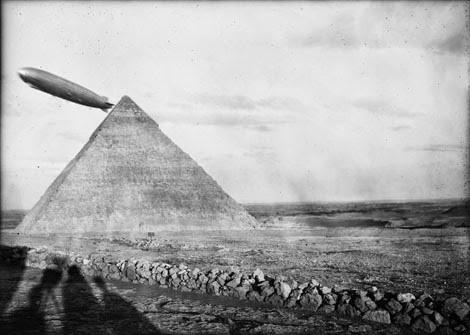 In yesterday's first part of this two-part post,we dealt with the use of Zeppelins in the Italo-Turkish War in Libya and the bizarre 1917 adventure of German Zeppelin L59 attempting to cross British-occupied Egypt and Sudan to resupply troops in German East Africa. 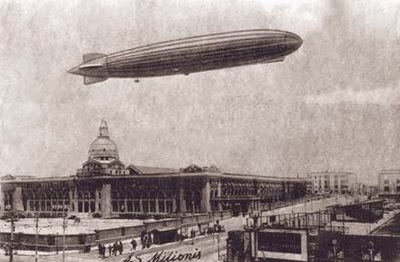 As mentioned in yesterday's post, after the death of Count von Zeppelin in 1917, the Zeppelin enterprise was headed by Dr. Hugo Eckener, When the Versailles Treaty force Germany to give up all military Zeppelins, Eckener began to seek permissions for civilian passenger Zeppelin airships, and by the late 1920s there began the age of luxury airship travel, when these luxury liners in the sky offered elites a way to cross the oceans faster than ships, at a time when heavier-than-air crossings were still he realm of adventurers like Charles Lindbergh and passenger aircraft with such range were still in the future (though the first passenger flying boats were beginning to challenge them). Returning, though, to Graf Zeppelin. Designated LZ 137, she was built at the Zeppelin works at Friedrichshaven am Bodensee between 1926 and 1928, she was 776 feet long (the largest airship built to that time) and could reach a top airspeed of 80 mph, though it normally did not reach that speed. During its lifetime (1928-1937) it would make 590 flights and cover a million miles, including one round-the-world trip (Weltfahrt). She was Weimar Germany's pride and joy, and she was meant as a demonstration of German aviation prowess. As a result its trips were often intended to impress, and therein lies the theme of this posts: its Middle East visits, to Palestine in 1929 and to both Palestine and Egypt in 1931. It would also visit Tangier during one of its Mediterranean voyages, as well as I believe on its trips to Latin America. For a good summary of both the 1929 and 1931 visits, let me refer you to zan article by Alan McGregor in a 1994n issue of Saudi ARAMCO World: "Contrary Winds: Zeppelins Over the Middle East." "The Egyptian people, through no fault of their own, are being prevented from witnessing a magnificent spectacle. This is due to [British] envy of the thoughtful, hard- working German nation, which is developing so quickly and outclassing most other countries, particularly in aviation. As a result, the people cannot see the [Graf Zeppelin], and it will not see the Suez Canal." Leaving Fridrichshafen on March 25, 1929, tthe Graf passed over Italy, Crete and Cyprus before reaching Palestine in the evening. By early evening they were over Palestine, dropping a bundle of 5000 letters to the large German colony at Jaffa. They found Mount Carmel bedecked with German flags and the word "Willkommen " spelled out in 8-meter-height letters; then they flew along the coast to Tel Aviv, where a passenger showered confetti on the crowds below. The ship then sailed east to Jerusalem, stopping its engines to hover over the Old City, then proceeding eastward to Jericho and the Dead Sea. Over the sea, the captain descended to close to the surface before rising and proceeding back over Jerusalem, now visible in bright moonlight. 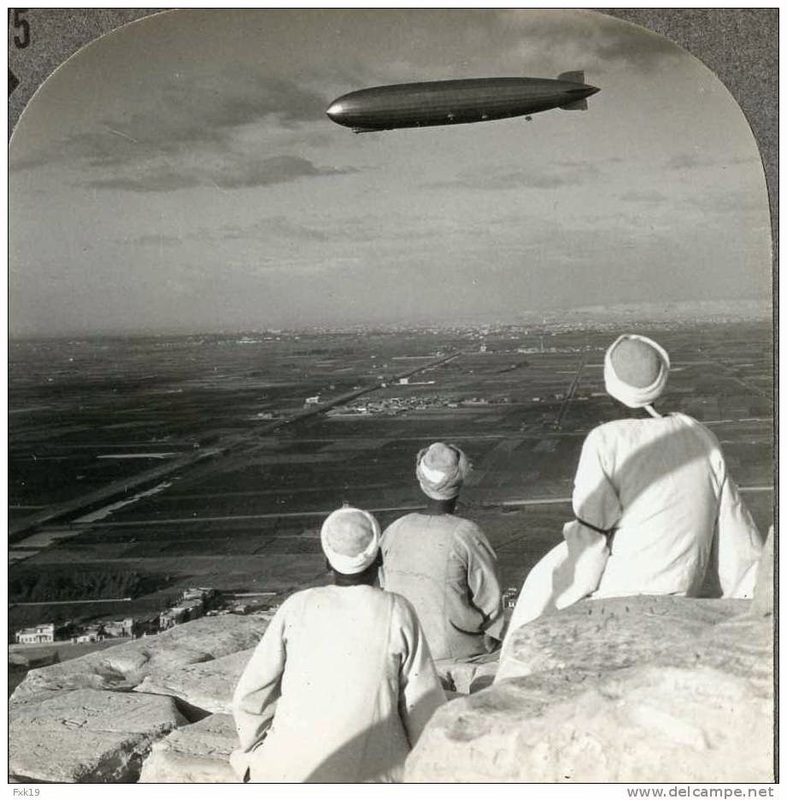 Proceeding out over the Mediterranean, the Zeppelin proceeded along the Egyptian coast, where Dr. Eckener, off Rashid, sent birthday greetings to King Fuad I, regretting that "contrary winds" prevented him from visiting Egypt. Graf Zeppelin then passed over Greece, circled the Acropolis, and proceeded via Vienna to Friedrichshafen and home. The first Middle East visit had lasted four days, May 25-28. Her next Middle East visit would be in 1931. Meanwhile, the British completed their challenger to he Graf Zeppelin, the R-101. On October 5, 1930, on its first trip outside Britain, R-101 crashed and burned in France, killing 48 of the 54 people aboard including Britain's Air Minister. That marked the end of British dirigible building. It also brought Dr. Eckener to the funeral of those killed. 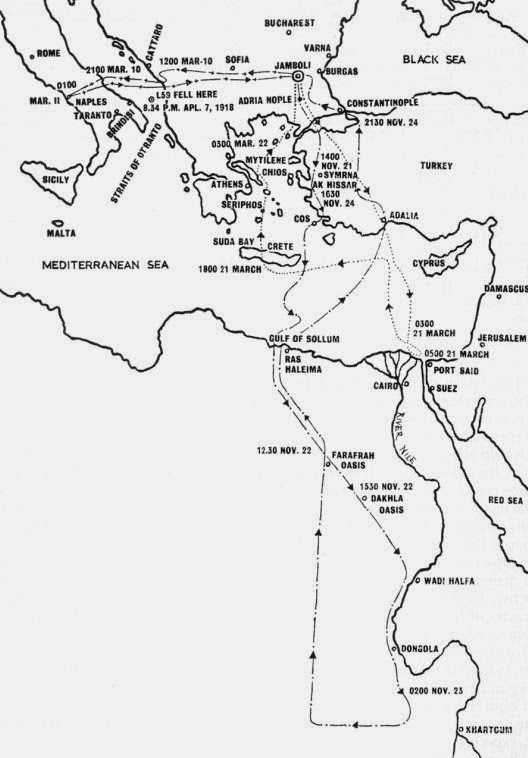 At that point, the British Air Ministry invited Eckener to visit Egypt with the Graf. 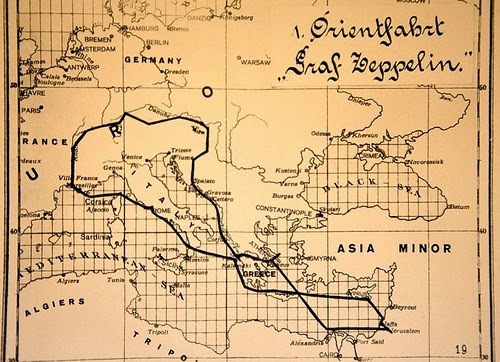 On April 9, 1931, Graf Zeppelin left Friedrichshafen at 6:10 AM and proceeded south over Corsica, Sardinia, and Sicily, and reached the Libyan coast at 5:15 AM the next day and proceeded eastward over Benghazi, crossing into Egypt at Sollum and continuing to Alexandria at 12:55 PM. 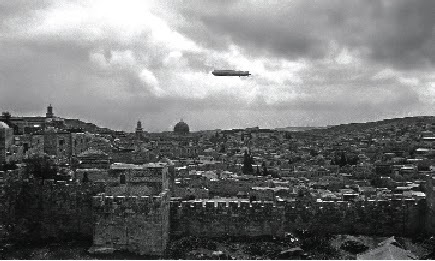 The Zeppelin spent 40 minutes circling over Alexandria while much of the population watched. 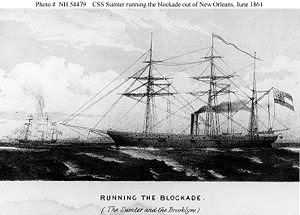 From Alexandria, the ship followed the Nile to Cairo, arriving around 3:30 PM. Eckener brought it over the Qubba Palace, where King Fuad I and Queen Nazli were watching from a balcony. He dipped the great Zepplin's bow three times to the monarch. So much of the 1929 trip had been in the dark that there were few photo opportunities, But the 1931 trip offered plenty of the sort of publicity photos Eckener and Germany had been hoping for. 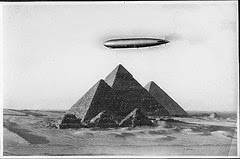 The Zeppelin proceeded south to the Step Pyramid at Saqqara and then cruised northward over the cities of the Delta overnight, while the passengers slept. At the coast it turned back towards Cairo and its first landing in the Middle East. At 5:15 AM,the ship reached Cairo and the old Almaza airfield, which was Cairo's original civil airport and is today an Air Force Base some distance south of Cairo International Airport which replaced it. 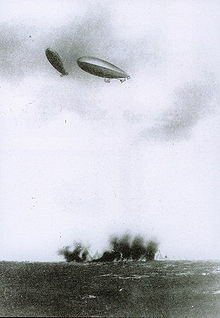 There, at 6:10 AM, British troops stationed in the area manned the mooring cable and also formed a cordon around he airship to hold back surging crowds, estimated at 30,000, who had flocked to Almaza to see it Firehoses were reportedly used to hold back the crowds when it took off later. An account of that visit can be read here. Eckener and some of the crew disembarked in Cairo, as did others wishing to see Cairo. Eckener had lunch with dignitaries and an audience with King Fuad. 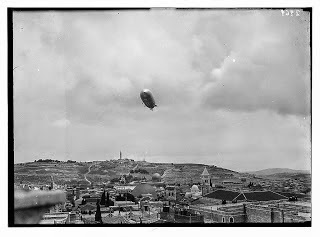 Meanwhile, the Zeppelin took off for a voyage over Palestine, passing over the Suez Canal, gaza, ajd Tel Aviv-Jaffa, then turning east toward Jerudalem. 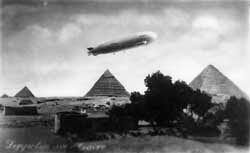 The Graf Zeppelin then returned to Cairo, landing at Almaza at 5 PM. After picking up Eckener and the other, and departed over the desert, passing over Siwa and exiting over Libya. 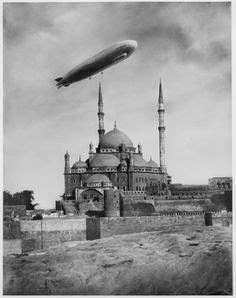 The second Middle East visit of the Graf Zeppelin was over. She returned to Friedrichshafen after 97 hours (four days plus an hour). 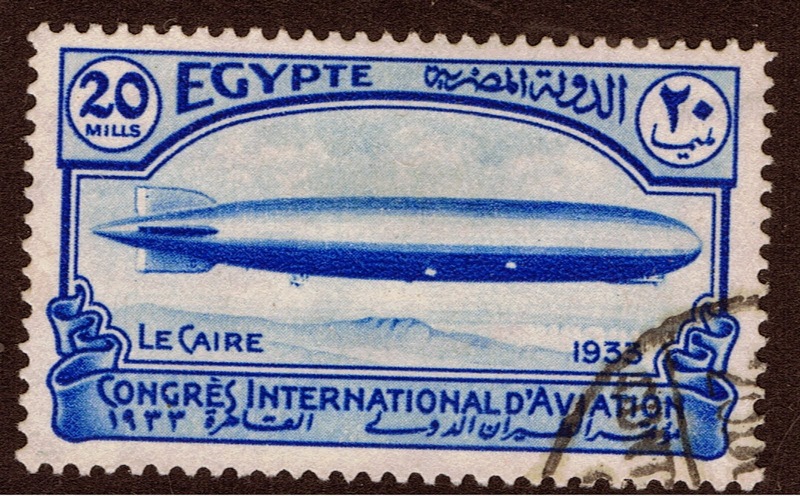 The ARAMCO World article cited earlier claims that for years Egyptians used the phrase "zayy al-zeppelin" (like the Zeppelin) to refer to something very large. 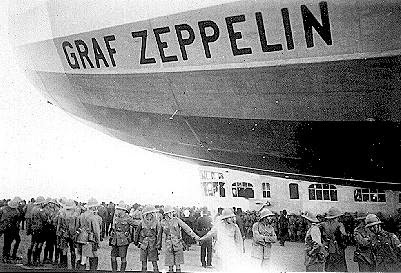 Zeppelins in the Middle East: Part I: Military Use in Libya and the Improbable Tale of "Das Afrika-Schiff"
The great age of luxury Zeppelin travel was a brief one in the 1920s and 1930s, memorably concluding with the Hindenburg disaster in 1937. The rigid dirigible airship, designed by Count (Graf in German) Ferdinand von Zeppelin in the 1890s, originally was used for military applications through World War I; Count von Zeppelin died in 1917,and the Zeppelin company was taken over by Dr. Hugo Eckener. Barred by the Versailles Treaty from building military Zeppelins, Eckener eventually won the right to build Zeppelins for civilian transport, and created the idea of these luxury liners of the sky for European and American elites, that could carry people across the Atlantic in comfort faster than a ship, at a time when heavier-than air aircraft were not yet ready to carry passengers so far. Dr. Eckener's gem was the Graf Zeppelin, named for Count von Zeppelin and intended to demonstrate the Zeppelin's capabilities as the airborne version of a luxury liner. As the Weimar Republic struggled to recover from World War I, she became a major showpiece for the reputation of German aeronautical engineering. Later that year she made her first Transatlantic trip, to the US. She would make other high-profile flights, including a round-the world-flight in 1929, but here I wish to discuss her two visits to the Middle East, in 1929 and 1931. But those trips, including photos, will appear in Part II of this post. Here in Part I, I want to discuss military Zeppelins in the Middle East. 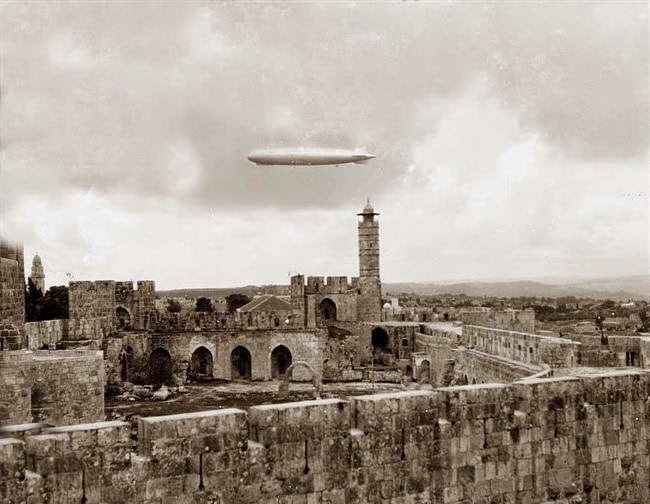 But first, a few words about military Zeppelin use in the Middle East prior to the golden age of luxury Zeppelin travel. During the Italo-Turkish War of 1911-1912, Italy became not only the first country to drop an aerial bomb from a heavier than air airplane, but probably also the first to use dirigibles for bombing. (Some use "Zeppelin" for all rigid dirigible airships, others only for the German products). During the bombing of Libya in 2011 I noted this on this blog, and posted this photo of Italian dirigibles dropping bombs on Turkish positions in Libya. It would be a dangerous mission: her top speed would be only 50 mph, making her a sitting duck for British fighters based in Egypt, Sudan, or Kenya. 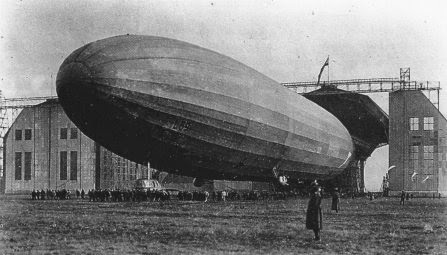 The Zeppelin, whose production designation from the Zeppelin works was LZ 104, was redesignated the L59 in German Naval service. Her sister ship, L57, had originally been chosen for the Africa flight, but crashed and burned during trials. The Zeppelin works' Dr. Eckener himself piloted her to Jamboli airfield in Bulgaria, a German ally, where command was handed over to KapitanLeutnant (Lieutenant Commander) Ludwig Bockholt of the German Navy. 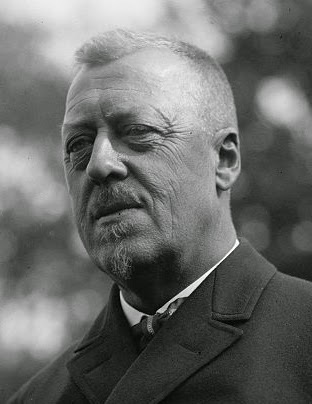 Bockholt, earlier in 1917, had drawn attention when, in command of Zeppelin L23, he had lowered a prize party from the Zeppelin to capture the Norwegian sailing ship Royal, still the only incidence in history in which a Zeppelin captured a surface ship. So he may have seemed the right man for a daring mission. After two false starts,she took off on November 21, 1917. She passed across Turkish airspace (allied with Germany) and headed out over the Mediterranean. Over Crete she encountered a thunderstorm and, as was standard practice, retracted her radio antenna to avoid lightning strikes. Meanwhile in East Africa, von Lettow-Vorbeck had suffered a defeat and was withdrawing into rough terrain where the Zeppelin could not land (he eventually crossed into Portuguese East Africa/Mozambique. The German Colonial Office tried to recall the L59 but with her antenna retracted she missed the signal. At 5;15 AM on November 22, L59 crossed the African coast near Mersa Matruh. As the morning sun heated the Sahara below, the airship experienced considerable turbulence; the heat of the days and bitter cold of the desert nights also affected the crew adversely, some even experiencing hallucinations. She passed over the Farafra and Dakhla oases on course to parallel the Nile from Wadi Halfa. On that afternoon, however, her forward engine seized up. She continued to make good time on her remaining engine, but the forward engine controlled the power to her radio transmitter, so she was from that point on unable to transmit, though she could receive with some difficulty. While the loss of the transmitter made it impossible to contact Germany, it may have had another benefit: British Intelligence knew the Germans planned to make the attempt, but were unsure of the timing; British fighters in Egypt and stations in Sudan and Kenya were ordered to watch for and intercept her, and were listening for her radio transmissions. Her inadvertent radio silence may have helped her evade detection. Sundown on the 22nd found L59 over Sudan; she had reached the Nile and was following it southward. the sharp drop in desert temperatures at night caused her hydrogen bags to lose buoyancy and she lost altitude. At 12:45 AM on the 23rd, L59 finally received the German recall order. There was some debate as some preferred to go on, but Holbock decided to turn back. Meanwhile, about 3 am, her loss of buoyancy due to the cold caused her to stall and nearly crash in the desert, but control was regained. Finally, about 125 miles west of Khartoum, L59 turned around and headed for home.he had passed over Egypt and half of Sudan, and now had to pass over them again without being detected. There has been some controversy over the recall message. 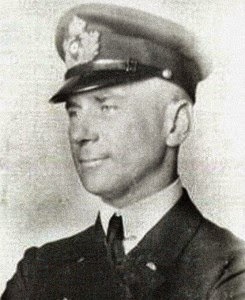 British Intelligence operative Richard Meinertzhagen would claim that it was a British ruse, broadcast in German naval code and claiming von Lettow-Vorbeck had surrendered. The British may have transmitted recall messages (though days later they were still looking for Zeppelin in East Africa, so they apparently did not know where it was. The recall message was not about a surrender, but a retreat, and the message recorded in L59's log reportedly matches the one sent by the German Navy. 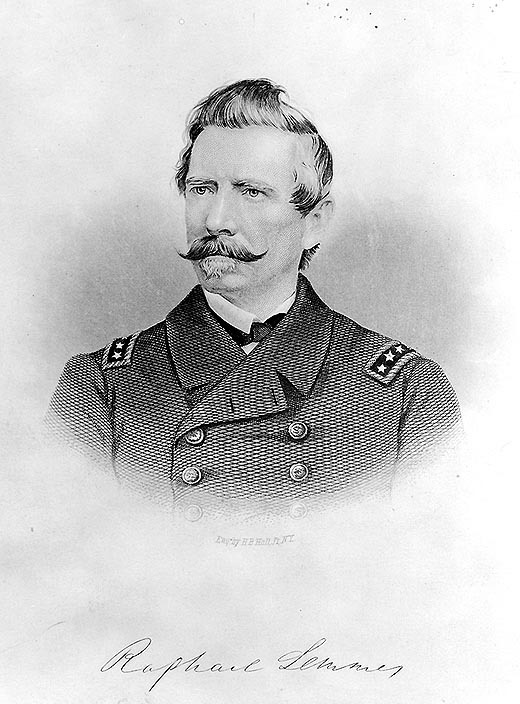 Meinertzhagen's recent biographers have called into question his once famous diaries, which appear to be full of fabrications. L59 successfully avoided detection and reached the Mediterranean. She was not quite home free, having another loss of altitude after night fell and nearly crashed in western Turkey, which was at least friendly ground, but recovered, and landed back at Jamboli at 7:45 am on November 25. She had flown for 95 hours and 4,200 miles without landing, a Zeppelin record that would stand until the great ocean-crossing passenger Zeppelins of the 1920s and 1930s. Since the original plan was to dismantle L59 once in Africa, and with Lettow-Vorbeck now in Mozambique, the Germans had no immediate plans for L59, so they decided to modify it to carry bombs and keep it in the Mediterranean theater. On March 11-12, 1918, she raided Italy, bombing Naples. Its next mission was an attempt to bomb Port Said and the Suez Canal.later in March reached a point about three miles from the target, when contrary winds forced a retreat. Unfavorable winds also forced abandoning the backup target, Suda Bay in Crete. On April 7, 1918, L59, still commanded by Bockholt, took off from Jamboli to bomb the British base at Malta. She crossed the Straaits of Otranto and headed towards Malta. The German submarine UB-53, running on the surface, witnessed her passing low overhead; the U-Boat commander estimated her altitude at 210 meters and reported he could see the details of the Gondola. A bit after the Zeppelin passed over, the U-Boat commander reported hearing two explosions and then witnessing a giant flame descending into the sea. She was listed as lost to an accident since neither the Italians nor the British claimed to have brought her down; none of the crew of 21, including Bockholt, survived. Some in the German Navy's Zeppelin service reportedly suspected that UB-53 might have mistaken L59 for an Italian airship and shot her down, then realized their error. This is unproven, and UB-53 herself went down after hitting a mine in Otranto in August 1918. 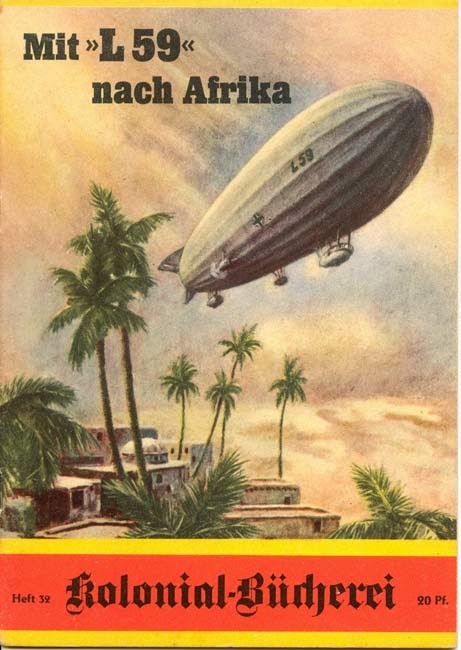 That's the strange tale of Zeppelins in wartime in the Middle East. Tomorrow, the luxury liners of the sky era: Graf Zeppelin's 1929 and 1931 visits to the region. For Lincoln's Birthday, a Reprise of "Flap Over Confederates Seized in Tangier, 1862"
Today is Abraham Lincoln's 204th birthday, as Americans used to know before Lincoln's birthday (February 12) and Washington's (February 22) were merged into a generic "President's Day." 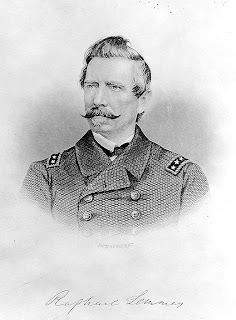 The US Civil War generally didn't involve the Middle East (though as I've noted in "Stone Pasha and the Khedive Ismail's Yanks and Rebs," officers from both sides were actively recruited into the Egyptian Army after the war, and one became the Egyptian Chief of Staff under Khedives Ismail and Tawfiq.) 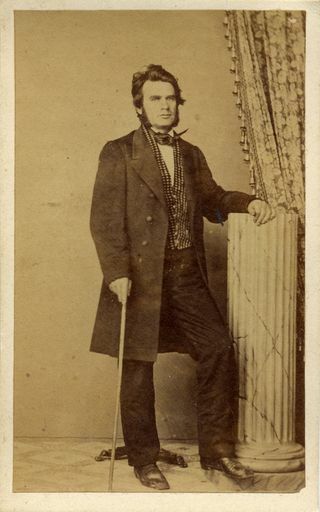 But I thought today we'd focus on one diplomatic incident that did engage some of Lincoln's attention: the arrest by the US Consul in Tangier of two Confederates visiting that Moroccan city in February 1862, 151 years ago this month. It isnt well known but in addition to the Union, the Confederacy, and the Sultanate of Morocco, it also managed to draw in the British and French consuls and home governments. Will Jordan's King Fly an ISIS Raid Personally? Four Years Since the "Battle of the Camel"
Hmm. Did Old Kingdom Egypt Have Movie Dates?